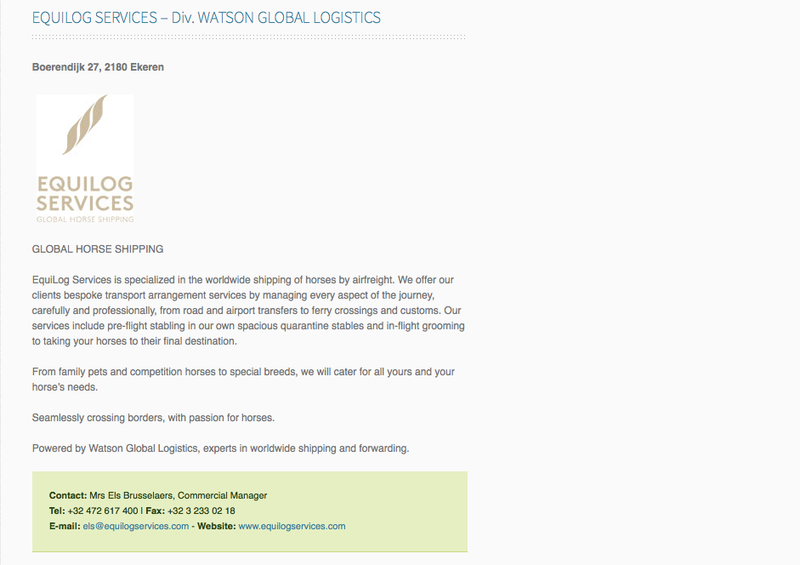 EquiLog Services is specialized in the worldwide shipping of horses by airfreight. We offer our clients bespoke transport arrangement services by managing every aspect of the journey, carefully and professionally, from road and airport transfers to ferry crossings and customs. Our services include pre-flight stabling in our own spacious quarantine stables and in-flight grooming to taking your horses to their final destination. From family pets and competition horses to special breeds, we will cater for all yours and your horse’s needs. Seamlessly crossing borders, with passion for horses. Powered by Watson Global Logistics, experts in worldwide shipping and forwarding.